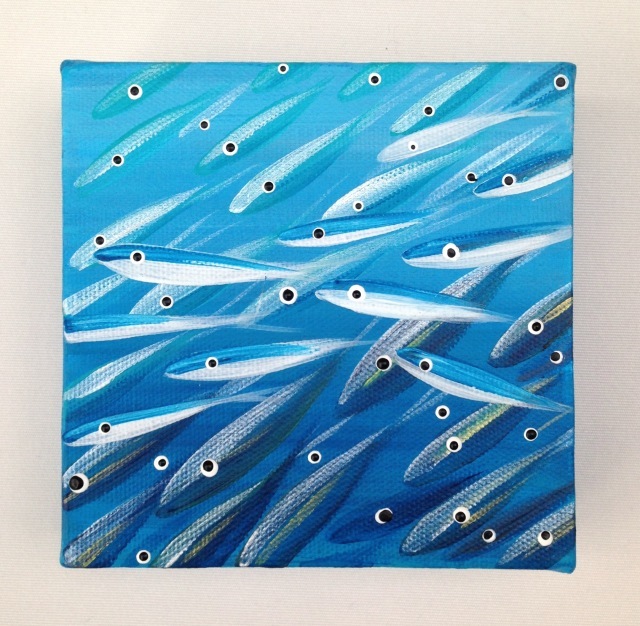 Blue and silver fish dart across a turquoise blue sea, painted in acrylic paint onto a small canvas box frame. 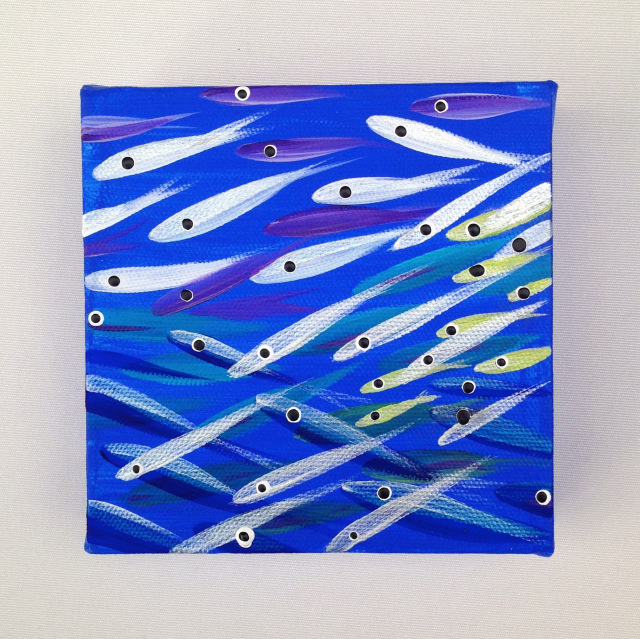 White fish dart across a dark blue sea, painted in acrylics onto a small canvas box frame. 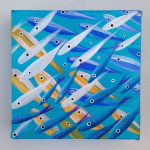 Yellow and white fish swim across a turquoise sea, painted in acrylics onto a canvas box frame. 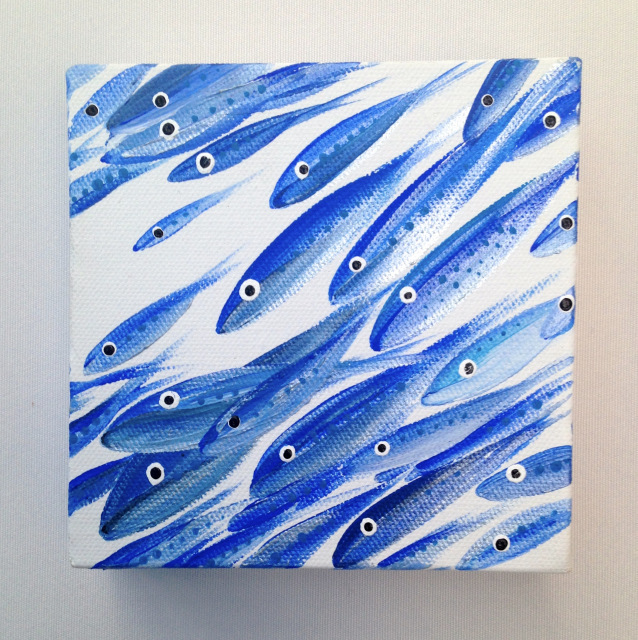 Blue fish swim across a white canvas box frame, painted in acrylics. They are all original paintings and signed by Vanessa Newell. They are easy to hang, to enable the box frame to hang flush against the wall, just hang over a screw or nail fixed onto the wall.